Top tracks: "Beautiful," "Babylon the Murderer," "Higher"
P.O.D. does an admirable job of trying to keep one foot in the secular world of nu-metal and hip-hop with the other in the world of Christian rock. But on the band's eighth studio album, they sound more conflicted than ever. They invite Cypress Hill member Sen Dog to rap over a furious groove on "West Coast Rock Steady" but then make a sidelong step into a life-affirming pseudo-ballad that swells from delicate verses to fist-raised choruses. 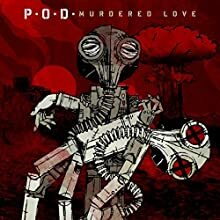 The effect provides a little bit of unsteadiness for the first listen, as you're not sure where P.O.D. is going next. But once you've gotten your sea legs, the journey provides thrills and deep wells of emotion.